Danish champion Mads Pedersen (Trek-Segafredo) was anointed king of Mount Buninyong at the Jayco Herald Sun Tour on Friday, winning a thrilling bunch sprint to take the Surfside Holiday Parks Stage 2 under sunny Victorian skies following a strong effort on the iconic climb. 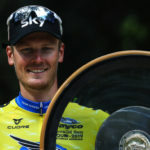 “It is nice to have a victory,” said 22-year-old Pedersen, who finished second at the Tour opener on Wednesday. 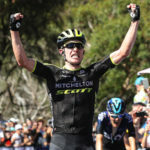 “I was so close at the prologue and again on stage one.” Steele von Hoff (Bennelong SwissWellness) was narrowly behind in second, while Australian national champion Alex Edmondson (Mitchelton-SCOTT) rounded out the podium. After some initial tussling, a 7-rider breakaway managed to establish a lead that soon stretched to over four minutes. Dutchman Etienne van Empel (Roompot – Nederlandse Loterij) and Norway’s Ken-Levi Eikeland (Interpro Stradalli Cycling) gave the lead group an international favour, alongside Australians Alistair Donohoe (Mobius BridgeLane), Nicholas White (Olivers Real Food Racing), Liam Magennis, Liam White (both Drapac EF Cycling) and Joel Strachan (Team McDonalds Downunder). Riders dropped from the front group as the White brothers rode hard towards their home-town of Ballarat. But these efforts proved in vain, with the breakaway caught as the peloton began the Buninyong ascent. Nathan Earle (Israel Cycling Academy) and James Whelan (KordaMentha Real Estate – Australian National Team) attacked to lead the race over the climb, before being joined by a large final selection on the descent to the finish. 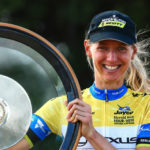 Earle’s efforts on Buninyong were enough to move him into the IsoWhey Sports King of the Mountains classification lead, while Mathew Ross (KordaMentha Real Estate – Australian National Team) retained the Visit Victoria – Summer of Cycling white young rider’s jersey. von Hoff is now wearing the Gatorade green sprinter’s jersey, and Donohoe was named Friday’s Bicycle Beer most aggressive rider. The Jayco Herald Sun Tour continues on Saturday with the Mitchelton Wines Stage 3, a gruelling 218-kilometre from Nagambie to Lake Mountain. 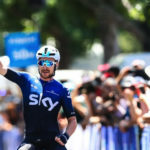 The stage is the longest in recent tour history, with a lengthy ascent towards the finish providing a great opportunity for the many climbers in this star-studded peloton.